The Florida Building Code, Energy Conservation v5 adopted mandatory air filtration testing known as the blower door test for new construction homes and residential units as of July 1, 2017. 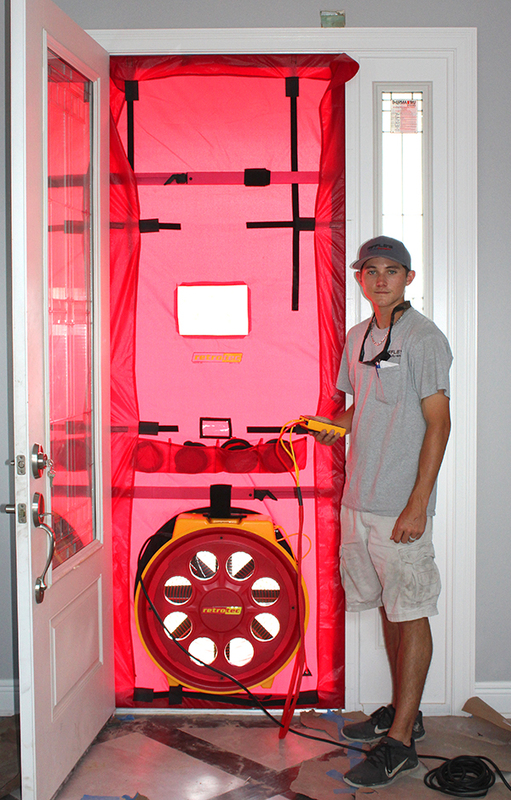 A blower door test is a machine used to measure the air tightness of buildings. This home air filtration test is an efficient method that is used to calculate how much air enters your home from outside. The requirement is that each home must have between 3 and 7 air exchanges per hour (ACH) to pass. Are you building a new home or office? You have come to the right place. Our qualified energy professionals at Riffle’s Air and Heat are trained to conduct the Blower Door Test for you. Caulking and weather-stripping should be checked at least yearly and repairs made when problems are detected. Even small air leaks around doors, windows, and electrical outlets can extend HVAC running time and increase energy usage in the home during winter or summer.